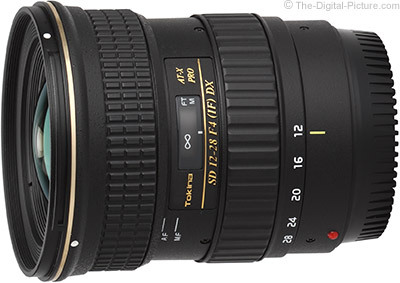 The Tokina 12-28mm f/4.0 AT-X Pro DX Lens Review page now includes image quality, flare, distortion and vignetting test results along with specs/measurements. Note: Don't miss Adobe's Photoshop Photography Program deal expiring soon. That's Photoshop CC and Lightroom 5 for only $9.99 per month with no previous ownership requirements (offer valid through May 31). 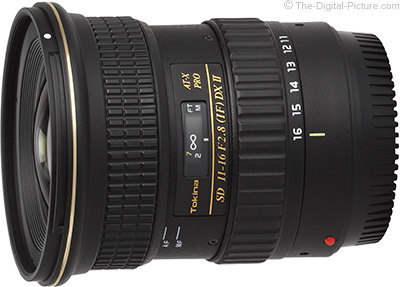 Image quality, flare, distortion and vignetting test results along with specs/measurements have been added to the Tokina 11-16mm f/2.8 AT-X Pro DX II Lens Review page. I always appreciate photo subject and location scouting help and my family looks out for me in this regard. It was early-mid morning and I was sitting in my office when the phone rang. As you guessed from the title, it was my wife. 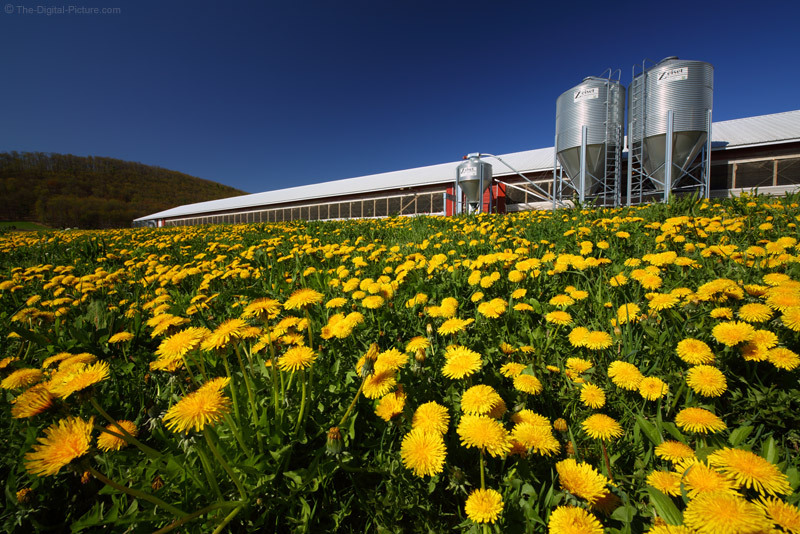 "The neighbor's field is full of yellow dandelions in full bloom. The light is perfect." My wife has a good eye for beauty (she married me, didn't she? OK, OK, just kidding). I knew that the field she was talking about was indeed full of these yellow flowers and I had already considered photographing them. The part of the report that I was most questioning was the perfect light part. It was well after the golden hour and the sky did not look hazy enough to remain warm and/or soft this late in the morning. The big question was, "Did I want to carve out an hour+ of my day for this shoot?" Keeping the scouts happy always has merit, the blooms were not going to last for long and a circular polarizer filter can take care of the high sun issue, so I loaded a couple of lenses and a 5D III into a Think Tank Photo StreetWalker Backpack and drove a couple of miles to the field. My goal was to create an attractive photo highlighting the massive quantity of yellow dandelions, so the lenses I took were of the wide angle variety. Upon walking up to the field, I realized that looking downward revealed a much lower flower density than I wanted to see and dirt showed between many of the green plants in this hay field. Looking at the field from a low vantage point (from near or far) showed the bed of bright yellow flowers perspective I was looking for. The chicken barn was not going to be avoided being included in the frame with the wide angle lenses I had with me, so I embraced it. Much of the very long barn was featureless, but taking a position close to the feed bins allowed the bins to become a prominent feature of the barn. With the sun still relatively low in the sky, the CPOL filter needed a specific angle into the scene to work its magic. The final composition involved finding the best-available foreground flower clumps relatively close to the grain bins, getting down close to ground and shooting in the angle providing the best CPOL filter effect. While I often avoid getting much of a clear sky in the frame, I felt that the bright polarized blue gradient sky color was attractive and added balance to this overall composition. Down low and up close to the foreground flowers meant that an f/16 depth of field was not quite enough to give me sharp details in the closest foreground subjects, so I shot a second frame with those subjects in better focus. The two frames were stacked in Photoshop layers and the not-sharp-enough foreground details were erased from the top layer to allow the sharper second layer to show through. What I didn't remember from childhood is that the yellow readily comes off of dandelion flowers. Upon getting into the car, I realized that my pants were very yellow. They were still yellow after blowing them off with an air compressor and they were still somewhat yellow after their first washing. All photos have a cost, but some have unforeseen costs. In the end, I was glad my wife called and the collection of images I captured on this morning were worth the costs. SmugMug Films Presents "Lava Light - Swimming with Fire"
Have you ever stood on the edge of an active volcano or swam in 110 degree water while ducking lava bombs? Photographers CJ Kale and Nick Selway do it so that you don't have to. Kale and Selway are former rescue swimmers who devote their lives to capturing the ever-changing Hawaiian landscape, where active volcano meets crashing waves. Their work is physically grueling and oftentimes dangerous, but the challenge and beauty of the volatile landscape keep them coming back for more. Permalink: SmugMug Films Presents "Lava Light - Swimming with Fire"
Submit your video for a chance to win the new EF 16-35mm f/4L IS USM lens! Insurance can be a complicated beast, but knowing how to cover yourself and your equipment is a must-do for your business. In this guide, we review the types of insurance you should consider as a working photographer, plus offer up tips from insurance experts and additional resources to help you make the smartest decisions for your business. Our NYC SuperStore and Offices will be closing early on Tuesday, June 3 at 2:00pm EDT and remain closed on Wednesday and Thursday, June 4 and 5. We will reopen on Friday, June 6 at 9:00am EDT. Standard, Expedited or UPS Shipping - Place your order by Tuesday, June 3 by 12:00pm Noontime EDT. Other Domestic or International Shipping - Place your order by Tuesday, June 3 by 7:00am EDT. Orders placed after above times will be processed after we reopen. Want a compact DSLR kit? 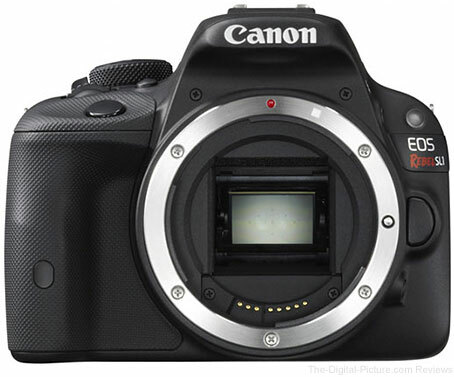 B&H is now offering the Canon EOS Rebel SL1 Body bundled with a EF 40mm f/2.8 STM Lens for $598.00 with free shipping. 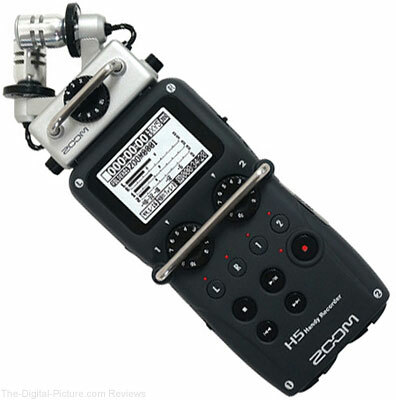 The kit comes with a free SanDisk 16GB SDHC Memory and DSLR Holster Bag. 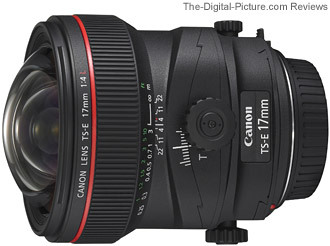 Commercial advertising photographer Jim Divitale has written a short but informative article for Canon's Digital Learning Center: Perspective Control with Tilt Shift Lenses. "When photographers want quality in their images, they know it starts with as much attention and detail as possible before the shutter clicks. We know we have post-production there to enhance the images, but it should be used like an artist with a fine brush, not like a construction worker with a jackhammer. I am a big believer in the nondestructive workflow to its fullest degree and refer to my approach to this as “the way of the fast retreat,” which requires being ready for any change with the least amount of backtracking as possible. It comes after a career of working with advertising photography projects that need to have as many options for last minute changes as possible. We used techniques like creating HDR images from multiple exposures, stitching panoramic images, and depth of field image stacking to increase both the quality and dynamic range of our images. But the most important factor is to get the best possible original image captured. One way to maintain the highest quality in a photograph is the ability to control the image perspective before the image is taken." Check out the entire article on the Canon Digital Learning Center for more info and example pictures. Adobe will be showcasing upcoming changes to Creative Cloud on June 18 at 1PM ET. Adobe's tagline for the event – "Everything is New Again" – suggests there may be some surprises in store. Sign up at Adobe to receive a reminder of the live streaming announcement. Reminder: Through May 31, Adobe has the Photoshop Photography Program (Photoshop CC & Lightroom 5) available for $9.99/mo (with 1 year commitment) with no previous ownership requirements. Roger over at LensRentals has a bit of a problem. He will soon have so much data (thanks to LensRentals' new optical bench) that he doesn't know what to do with it. Excel experts, he needs your help to present the data in a logical, concise and easy-to-understand way. To win the Platinum Prize you must write a program or macro that fulfills my wild fantasy – Aaron spends hours collecting data on dozens of lenses, then I push a computer button and beautiful, logical graphs are generated that are easy to follow, present the data and variation, and offers an easy way to compare different types of lenses. I will be a bit flexible on what constitutes pushing a button, but if it takes me hours, it’s not winning. So if you’ve always wanted a comparison between the Canon 18-55 IS kit lens and the Olympus 16-50, or just want your ownt lenses tested, here’s your chance. To win the Gold Medal Prize you develop a fairly simple way to create logical, easy to understand graphs that demonstrate the variation of copies for each type of lens, and offers an easy way to compare different types of lenses. Bronze Medal Prize: Our undying gratitude and we’ll test 2 of your lenses on our optical bench and provide you printouts. To win the Bronze Medal you simply have to demonstrate a graphing method that presents the average (mean) results for multiple copies of a lens in a way that’s easy to follow and understand. If we use your graph methods, you win a Bronze Medal. 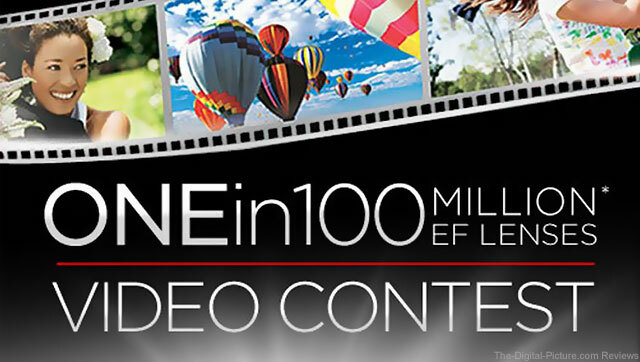 If you're interested in participating, head on over the the LensRentals website to learn more. 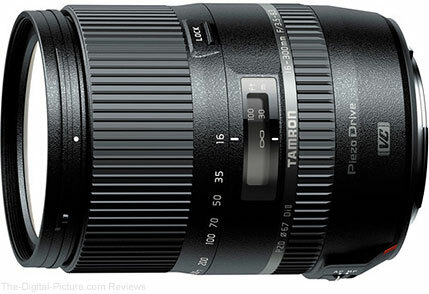 B&H has the Tamron 16-300mm f/3.5-6.3 Di II VC PZD MACRO Lens for Canon in stock.